Are Elected Presidents Always Person of the Year? 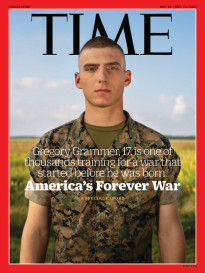 With the selection of Donald Trump as Person of the Year for 2016, TIME’s editors have continued an every-four-years tradition of giving that title to the President-elect. Barack Obama and George W. Bush were each named Person of the Year twice, following their election victories. After all, the President of the United States is said to be the leader of the free world, and the coming of a new administration can lead to a wave of change throughout the country and around the world. The Oval Office is, indisputably, a seat of immense influence. 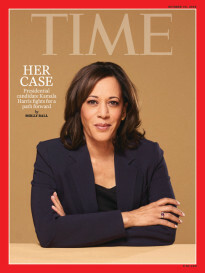 So—given that TIME’s Person of the Year is the individual who has had the most influence on the world, for good or for ill—it’s no surprise that the people who have won U.S. presidential elections tend to find themselves on the cover of that issue a few weeks later. But, though it has been two decades since an exception has been made, it is in fact not the case that winning the U.S. presidential election is an automatic ticket to Person of the Year status. In roughly half of the presidential election years that have passed since the franchise launched with Charles Lindbergh as 1927’s selection, the Person of the Year has been someone other than November’s victor. The most recent exception was in 1996, when Bill Clinton was reelected and AIDS researcher Dr. David Ho was Person of the Year. Previous non-president picks include the Earth (Planet of the year 1988, over George H.W. Bush), U.S. Scientists (People of the Year 1960, over John F. Kennedy) and Queen Elizabeth II (Person of the Year 1952, over Dwight D. Eisenhower). And in 1972 the election victor shared the cover (Richard Nixon with Henry Kissinger). Reelected presidents and same-party victors are less likely to make the cover than are presidents who represent a shift in the political life of the nation. In short, winning a presidential election does not automatically make someone a Person of the Year. There’s more than victory to influence. But if a President-elect has in fact shaped the year’s news, for better or worse, it’s hard to deny that he belongs on the cover.